While Liberty Tax is more affordable than some premium options like TurboTax or H&R Block, it’s on the pricier side of budget tax software. Considering its less-than-perfect user experience, the absence of audit defense, and no free option, Liberty Tax may seem a less attractive option in a competitive field. Overall, Liberty Tax is a functional piece of tax software that delivers on what it promises. However, there are competitors out there with a slightly fuller set of features and a superior user experience. How much does Liberty Tax cost? As with other tax software, Liberty Tax offers a choice of packages. That said, a major difference between Liberty Tax and many of its competitors is the lack of a free option. While other tax software companies let you file a 1040EZ or even a 1040A for free, this isn’t the case for Liberty Tax. However, a small business or freelancer will have more demanding needs. This means that for the purposes of small businesses, you may still save money relative to the more expensive online filing software around. The paid plans range from as little as $24.95 for the simplest option up to $69.95 for the premium package Liberty Tax recommends for small businesses and freelancers. For this price, you get a number of features you’d expect from any tax software, plus the ability to scan your W-2 and extract the information automatically. You’ll want to pick your plan based on the features you require as well as your budget. As a small business owner, you’ll want to consider one of the top plans. While Liberty Tax may be affordable, it’s not quite as attractive as other options. It’s interface is usable enough, but has a rather trimmed-down feel compared to premium services like H&R Block or even rival affordable options, such as TaxAct or TaxSlayer. That said, it’s functional. Using Liberty Tax is fairly easy, and going through the initial basic information is made even easier by an excellent system of floating sections with autofills. Again, being able to upload your W-2 makes this process simpler still. While this last feature is increasingly common across the industry, it’s only this year that we’re starting to see it become common among the more budget friendly tax software providers. This version allows you to file a 1040A and itemize your deductions. Includes the features that come with basic, plus extras for those with investment income. As above, with special features and support relevant to small business owners. However, audit protection is an extra $14.95. Make sure to check the prices on Liberty Tax’s website when deciding which tax software is right for you. While all the above features are a step up from preparing your taxes unassisted, there are certain areas where Liberty Tax doesn’t perform as well. For example, you’ll only be told about errors at the end, and these won’t be clearly marked. This means you’ll have to search for them yourself, which decreases the value of Liberty Tax. On the plus side, you know what you’re looking for. 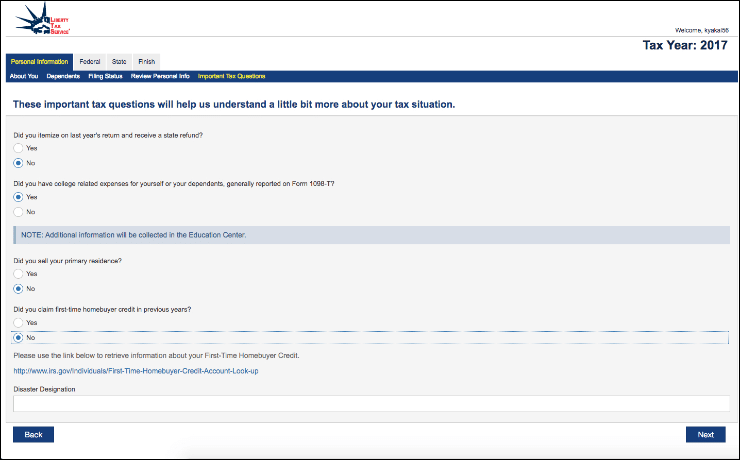 Does Liberty Tax have customer support? While customer support isn’t as snappy as you’d expect from services at the top end of the market like TurboTax or H&R Block, support is available for tech related issues. When it comes to support when you’re being audited, you won’t have access to audit defense – meaning Liberty Tax won’t represent you before the IRS. However, if you pay the extra $14.95 they will supply you with helpful advice and guidance which can help you get through the process much more easily than an unexperienced filer would otherwise. As mentioned above, you will have to pay extra for audit assistance ($14.95) and you can’t access audit defence. This is surprising, given that there are other cheaper options on the market such as TaxAct which do include this option.